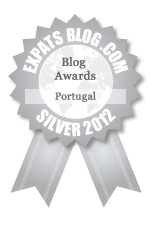 ExpatsBlog.com Expat Blog Awards 2012: Portugal Silver Award! This blog won the Silver Award for best expat blog in Portugal! Very informative and always with beautiful photos. Well done! Well done - it takes a lot of effort to keep a blog interesting, informative and relevant - keep it up! What a delightfully put together blog. The photos and the information introduced me to a place that I had not even heard of. Not only a great blog but Alyson really encourages other bloggers and 'spreads the love'. With wonderful photos and excellent writing, the Algarve blog is a fantastic blog, run by a genuinely lovely person. Love this blog - clearly written with passion for the country. Fantastic blog - one which I visit regularly. It makes me feel like I am actually living there. Nicely done! I love the links to the local traders and attractions, information about local produce and the photos. A real treasure of information. A beautifully written blog by an extremely talented creative. Alyson not only produces a high standard of work, but does a lot to facilitate communication and discovery throughout the blogging community. Love Alyson, really supportive of other blogs, inclusive and joins people into hers, her creativity shines through. This blog is a perfect place to find information about moving to Portugal, what to see and do there. It gives you a lot of useful tips and you easily feel the love Alyson has for her expat country. Excellent blog - superb and very informative articles about the Algarve, Portugal with fantastic photos. Great photos and great writing. What's not to like about Algarve Blog. It's a winner! Great blog which brings light into a dreary day and makes you want to jump on the next plane. Vivacious blog! Love the variety and style of writing. Photos are great too. Delivers a bucket of sunshine each and every time. Aly's blog is always interesting and informative, and she goes out of her way to extend the hand of friendship to other bloggers.